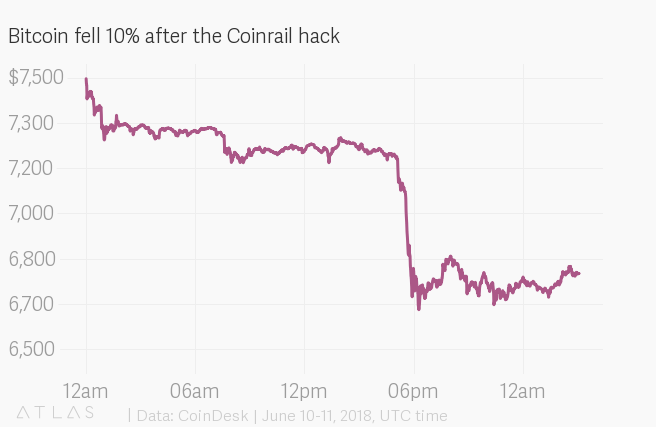 Bitcoin fell more than 10% Monday to its lowest price in two months, after a relatively small crypto exchange in South Korea reported a hack. The crash widens bitcoin’s year-to-date losses to as much as 50%, wiping about $120 billion off its market value this year. The price plunges were also linked to a report on Friday from the Wall Street Journal that U.S. regulators are investigating four major crypto exchanges, including Coinbase and Bitstamp, for price manipulation.